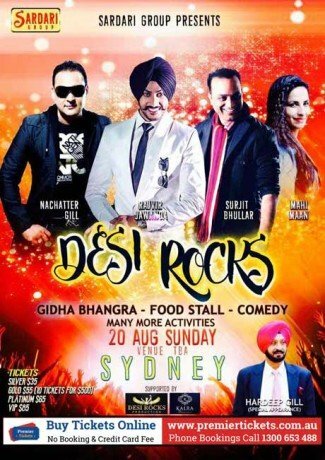 Desi Rocks and Kalra Productions presents Desi Rocks Live in Sydney. Event includes Gidha Bhangra, Comedy, Food Stall and many more…. Premier Tickets Australia is proud to be the online ticketing partner for Desi Rocks Live in Sydney on August 20 2017. Contact us for any of your ticketing & marketing needs.